Pakistan Muslim League Quaid-e-Azam (PML Q) was founded by Shujaat Hussain. Find Pakistan Muslim League Quaid-e-Azam (PML Q) PML-Q Detail Election Results 2018, national assembly Seats, Sindh, Punjab, Balochistan & Khyber Pakhtunkhwa KPK, FATA, News, Candidate names, Pakistan Muslim League Quaid-e-Azam (PML Q) PML-Q Party Contact Information, Party Flag, Logo & Songs. The Pakistan Muslim League (Quaid-e-Azam) (PML (Q)) traces its roots back to the All-India Muslim League (as does the PML (N)), founded in 1906. Using the name of the Quaid-e-Azam Mohammad Jinnah, who founded the original Pakistan Muslim League in 1948, the PML (Q) lays claim to being the faction most associated with the original group. 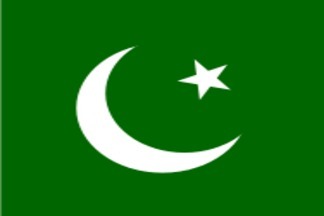 At the time of Pakistani independence in 1947 the Muslim League was the only major party in Pakistan and claimed the allegiance of almost every Muslim in the country. However, with the deaths of its two principal leaders, Jinnah and Liaquat Ali Khan, shortly after independence and its central goal of creating Pakistan achieved, the party failed to develop a coherent, post-independence ideology. The Muslim League gradually came under the influence of West Pakistani, and particularly Punjabi, landlords and bureaucrats more concerned with increasing their personal influence than with building a strong national organization. 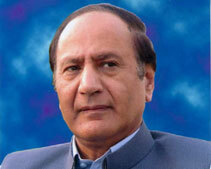 Chaudhry Shujaat Hussain is current President of PML-Q. He was elected unopposed, and Senator Mushahid Hussain Syed is the Secretary General of PML who was also elected unopposed.The PML has entered a new phase of its history. It aspires to promote a culture of reconciliation and accommodation in politics. It has launched a massive campaign to organize itself at the grassroots. It plans to introduce reforms in the social, economic and other sectors of the society in order to bring about a real change in the life of the common man.Recently, a growing rift within the leadership of the party has emerged another faction within the ambit of the Muslim League calling themselves the 'Like-minded' bloc, who are seriously opposed to the recent Chaudhry's of Gujrat leadership bid.Even though its early days for this new faction, they have announced that Hamid Nasir Chattha would be the Chairman, Salim Saifullah the President, and Humayun Akhtar Khan the Secretary General. Other prominent leaders to join this parallel set-up amongst others are (former Foreign Ministers) Khurshid Mahmud Kasuri (appointed as Chairman Steering Committee) and Gohar Ayub Khan. Additional prominent leaders include Kashmala Tariq as well. A meeting of the group was held in August 2009 in Peshawar by members including Salim Saifullah Khan, Hamid Nasir Chattha, Humayun Akhtar Khan, Gohar Ayub Khan, Khurshid Mahmud Kasuri, Muhammad Ali Durrani, Sumera Malik, Lala Nisar, Kashmala Tariq, Iqbal Dar and Omar Ayub Khan.